We are always on the hunt for old counter height work benches because they make perfect kitchen islands. 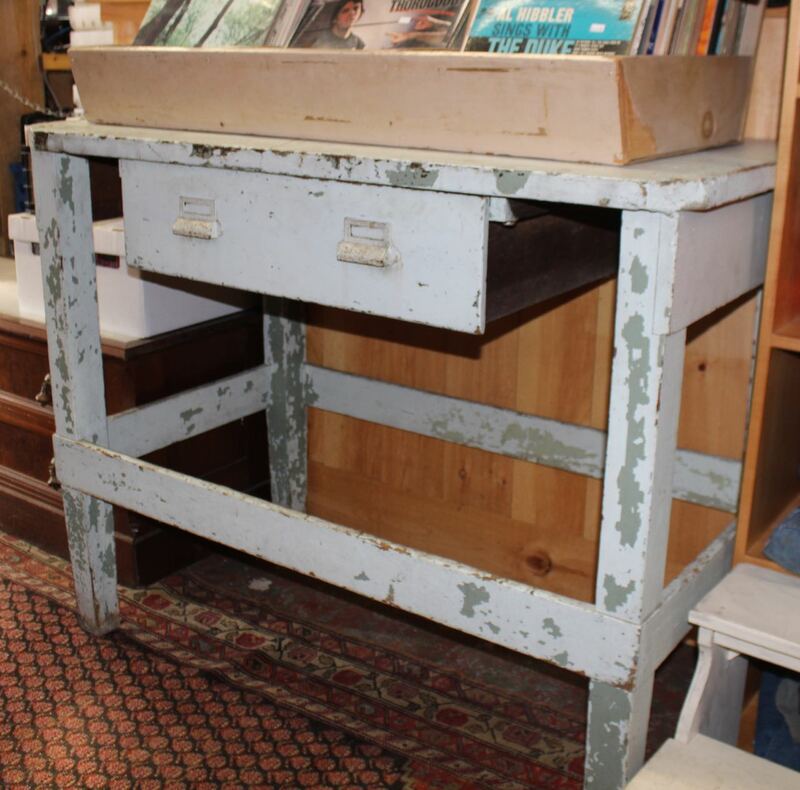 This one has nice original blue-green paint with a large drawer. Very sturdy–very cool.